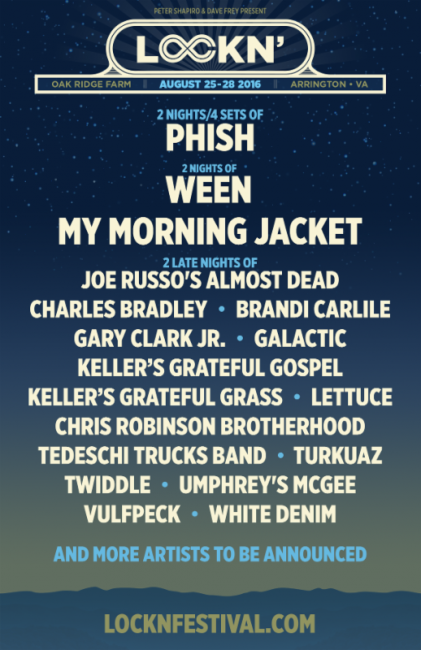 Proudly announcing this year’s lineup today, Lockn’ Music Festival is returning once again for its fourth annual event in Arrington, VA. Lockn’ 2016 is picking up where the 2015 event left off as it featured one of the most extraordinary bills in the festival’s history with a line-up that has seen several legendary artists performing two unique shows over two days, and this year is no different. Phish will be making its first appearance at the festival with a two-night, four-set headlining slot on the Friday and Sunday of the weekend, marking the band’s only festival performance in 2016. Ween, who are fresh off three reunion shows in Broomfield, CO that sold out instantly, will perform right before Phish on the Friday night. 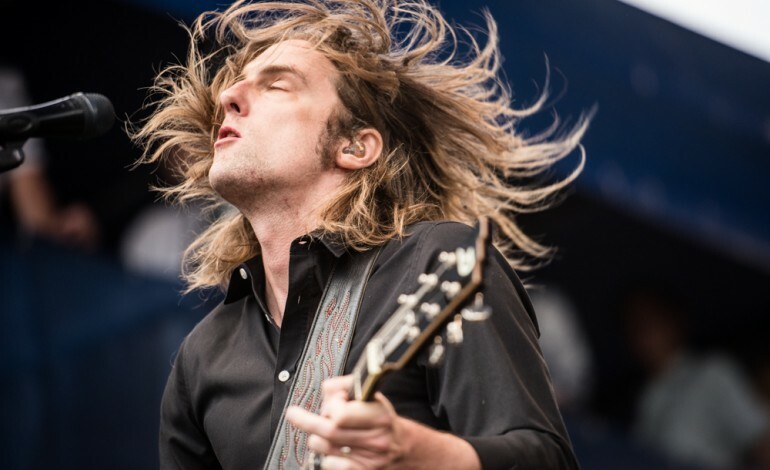 Another Lockn’ first timer, the beloved My Morning Jacket will headline on the Saturday night. Widely praised by fans and media for being among the best run and uniquely creative festivals in the country, it will be tough for anyone to pass up this incredible event. Taking place on Oak Ridge farm in Arrington, VA Lockn’ Festival, formerly Interlocken Music Festival, is Raising the bar for incomparable large scale creative programming, it is home to Participation Row, a Social Action Village that serves as host and hub for a variety of non-profits, facilitating action and other involvement by Lockn’ Festivalgoers. Participation Row at Lockn’ is sponsored by Qello Concerts, the largest streaming library of live concerts and music documentaries. Along with its emphasis on musical invention and environmental sustainability, Lockn’ also features an array of other activities, from on-site camping, locally sourced food, and craft beer to lifestyle events, biking and hiking tours, daily yoga, SoberLockn’, family camping, and much more. This year’s lineup is nothing short of spectacular, bringing together heavy hitters in the jam band community and providing an array of musical talent for each and every spectator. Set to perform this year alongside the headliners is an eclectic collection of some of the best live acts in the scene today, including: Joe Russo’s Almost Dead on two different nights, Charles Bradley & His Extraordinaires, Gary Clark, Jr., Galacticl as well as Lettuce to round out the funk, Chris Robinson Brotherhood, Tedeschi Trucks Band, Turkuaz, Twiddle, Umphrey’s McGee to mention a few for their initial lineup release with plenty more to be added onto the bill. From its very beginning, Lockn’ festival has set itself above many other festivals with the consistent strong lineups, the relaxed atmosphere, and array of creative environments that it provides. There is much to look forward to at the end of the summer to close out a festival goers’ long run, this is one that should not be missed. GA and VIP tickets go on sale Friday, Feb 19th at 12 noon ET. as will on-site camping, RV and hotel and shuttle packages.